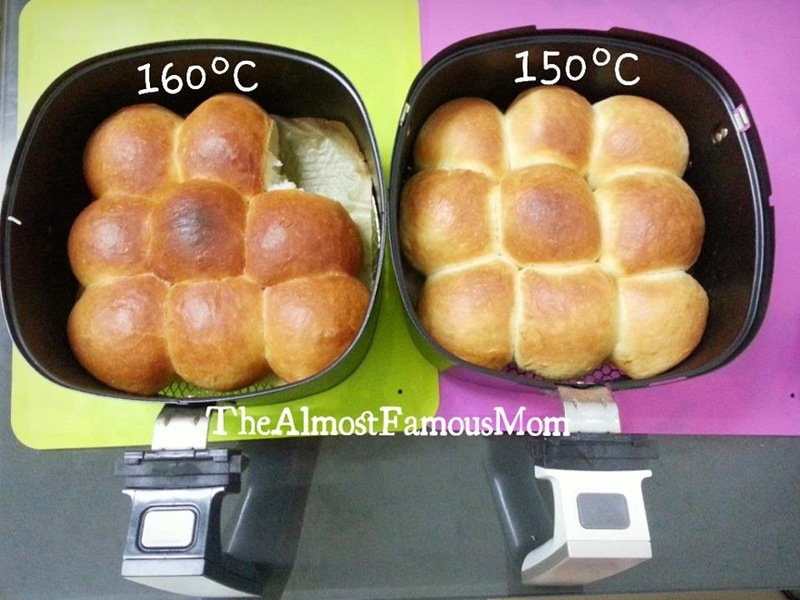 This buns are specially baked for my darling husband because he loves dinner rolls, it is not just for dinner but he can eat these little buns together with his meals anytime of the day. 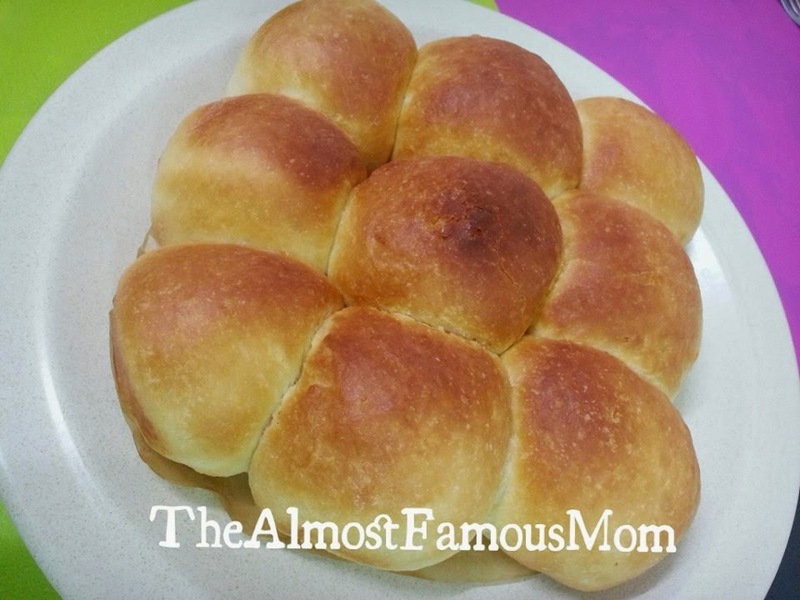 Like the name says, these dinner rolls are very buttery and the texture is soft and fluffy. It is so soft and yummy that my darling son already eaten two of these buns! Baking has never been this easy all thanks to my collection of kitchen gadgets, a handy bread maker and the amazing Philips AirFryer. 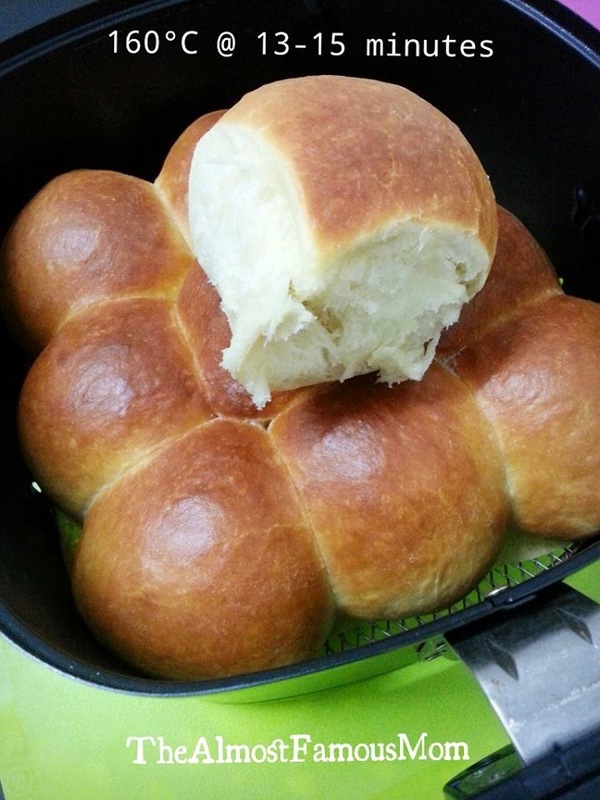 All working together to create this yummy dinner rolls. 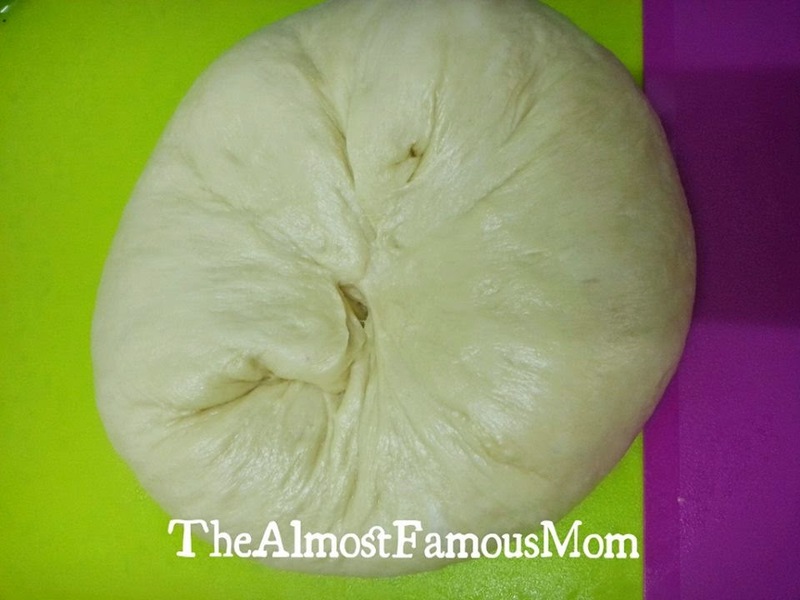 Divide dough into 22 portions and form into balls which are round. 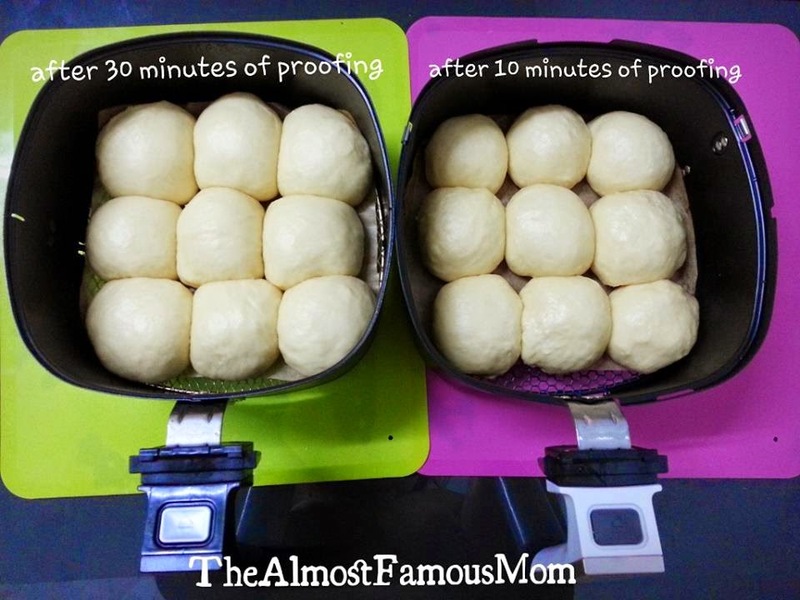 Put them in the AirFryer basket that has been lined with baking sheet and slightly oiled on the edges of the basket. 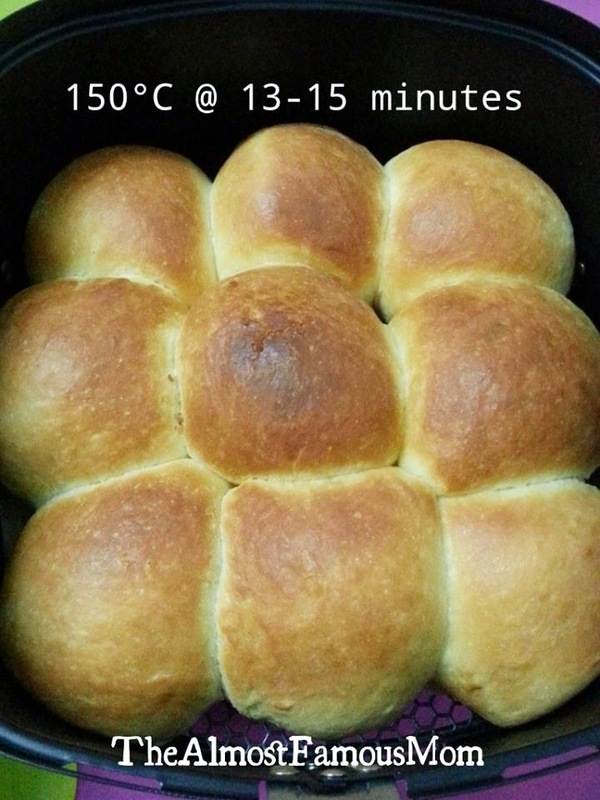 AirBake these buns at 160°C for 13-15 minutes, or until golden brown. As for the second batch, I've changed the temperature to 150°C with the same baking time - buns have lighter colors compare to the first batch. 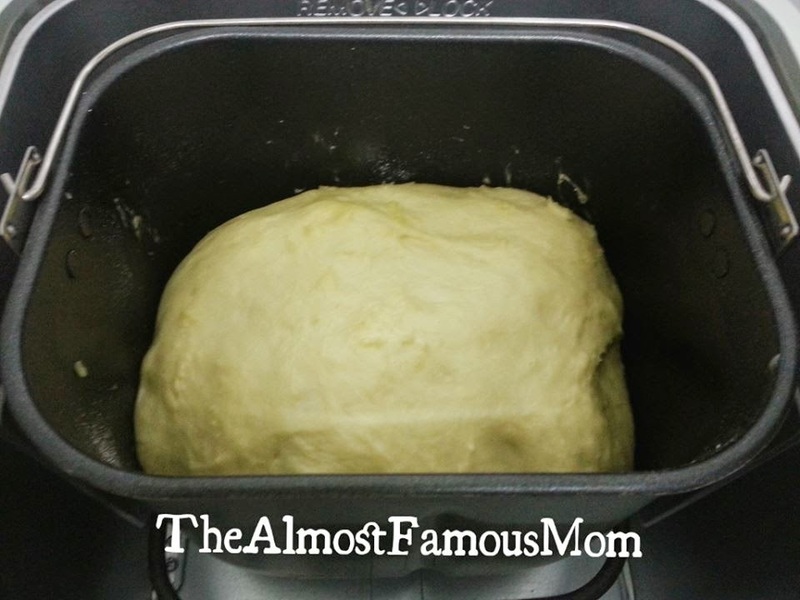 Brush some melted butter on the buns once it is done baking. Wish like all recipes use the Fahrenheit for oven or air fryer temp, this recipe used C instead of F. Wish I did not take it for granted and used 180 F as that WAS THE LOWEST ON MY AIRFRYER till I realized that it's just not right and then YES saw my mistake. Adjusted the temp to 350 F, waiting for results! OK they are done, out of the air fryer and look great, taste is great softness is amazing but the base is not browned as it happens in the oven.I did use the parchment paper sprayed with Pam.They are great Thanks for the recipe. Am glad I caught on to my oversight, the temperature mistake. Just wanna say thank you so much for your recipe! Had to half it cause my breadmaker is a small one :) but your bun dough recipe is awesome and I made into ham cheese bun, choc chip bun, whatever my family prefers and in the baking tray I can have like 9 different bun varieties hahaha! Thanks so much! How much butter, I can not find what 114gn converts to. I need all ounces or spoonfuls etc, sorry. Yes, I would like the recipe converted to. You have cups of milk but gms of flour. I need cups, teaspoons etc. Just weigh the food. It's not hard. Put the bowl in the scale, zero it, put ingredient in zero it, add next ingredient, zero it so on so forth. All of us who cook have kitchen scales. Otherwise this recipe probably isn't for you. Google another. You say to divide into 22 ball, but I only see 9 balls in the airfryer. Do you do these in batches? Jane, use Google to convert grams to ounces. Enjoy! 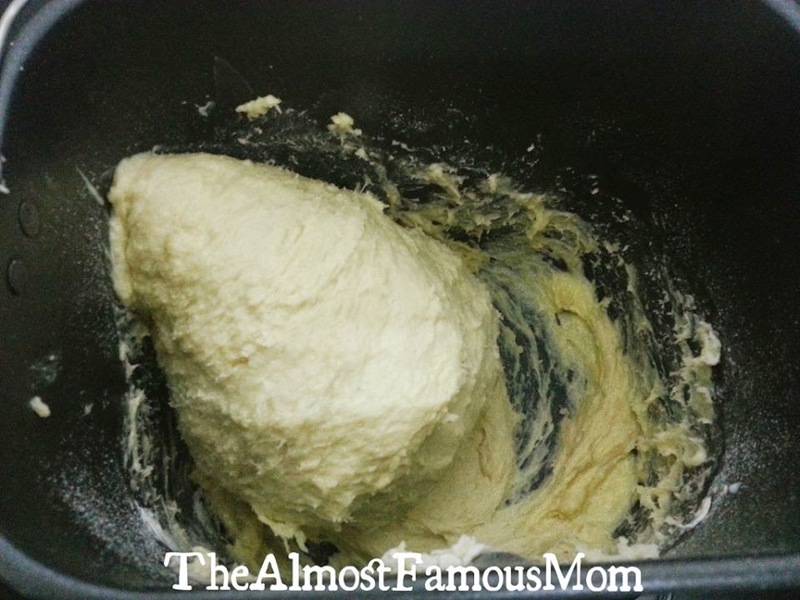 Without a bread maker, tho I just make a simple dough with Pugh hooks on a stand mixer? 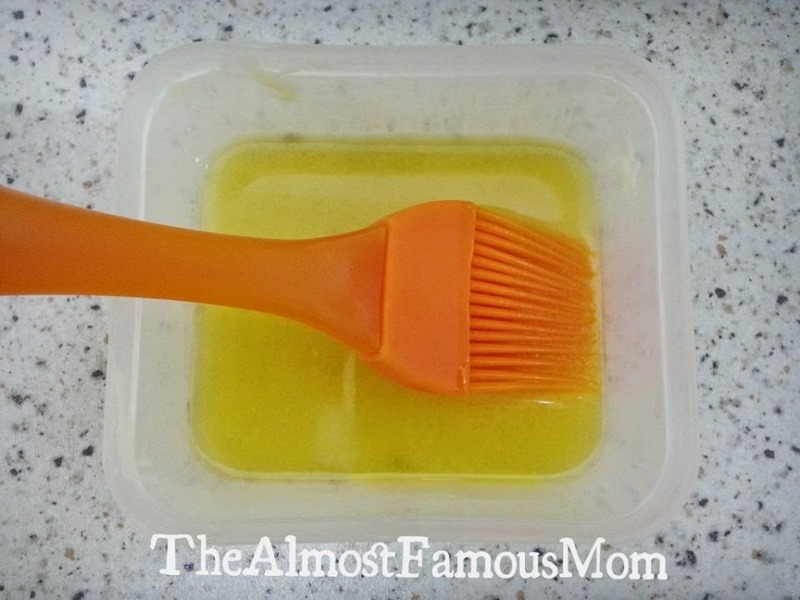 Butter comes out to about 1/2 cup. Sugar about 1/4 cup. 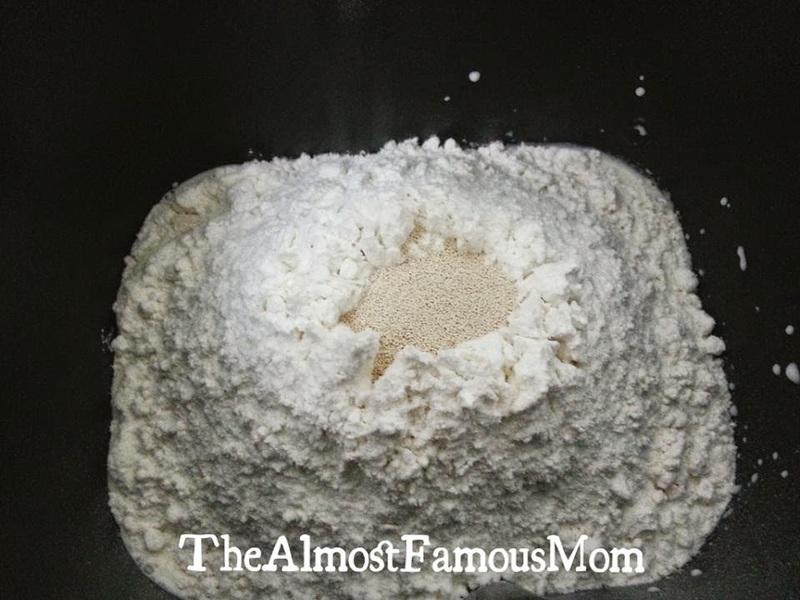 Bread flour about 2 1/4 cups. The temps in Fahrenheit are about 300 and 325 degrees respectively. I just Googled the conversions. Hope this helps. 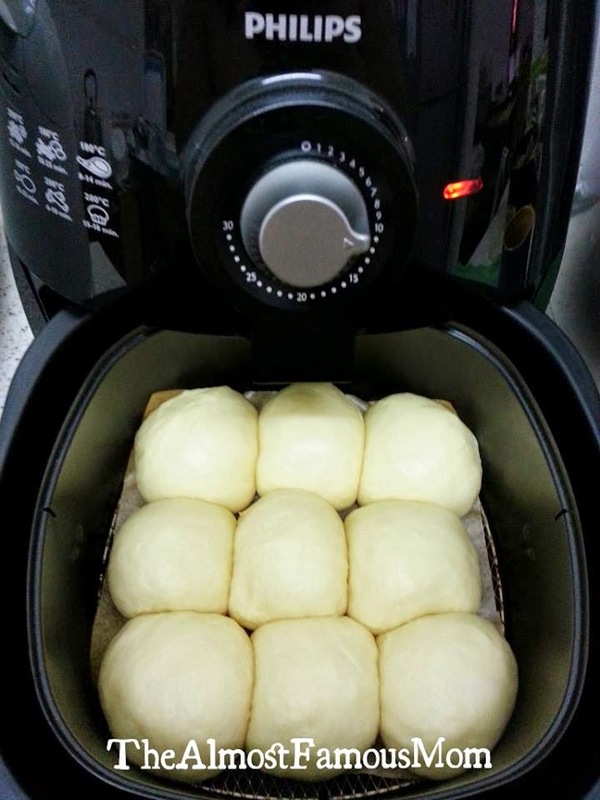 Quick question,because the basket is already pulled out to line all the buns for proofing, can we preheat the airfryer without basket inside? Wouldn't it be like leaving the oven door open while preheating? I made these today. They were easy to make. Mine weren't as pretty as the picture, but my family loved them. I don't have a bread machine. How would you suggest I go about 'mixing' this up without one? Should I throw everything together as though it was going in a bread machine anyway?